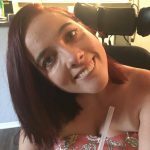 The ADA: A Huge Help! | Where It's AT. The Ability Tools Blog. 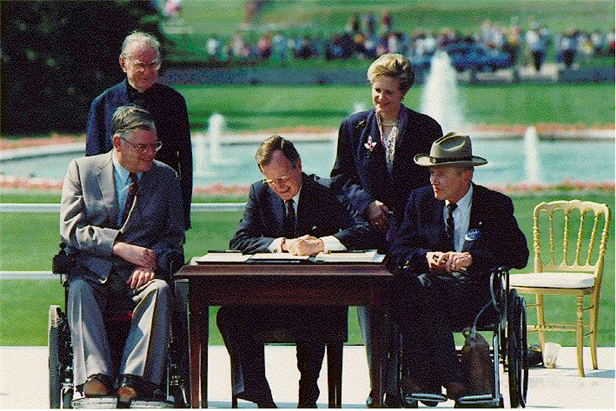 The Americans with Disabilities Act (ADA) was passed on July 26th, 1990. The bill was signed by then President George W. Bush. The ADA gave millions of Americans who have disabilities access to public places, transportation, education, employment and housing. I recently learned that President Bush had a sister-in-law with a disability. I wonder if we would have even imagined the ADA, let alone passed it, without his sister-in-law. Luckily, we don’t have to imagine our world without the ADA! The ADA has made a big impact on my life in so many ways! First off, I use a power wheelchair; therefore, I’m not able to go up stairs and curbs. The ADA has made it mandatory that places of business and the city overall must have smooth slopes and ramps for accessible entry, making my life a whole lot easier. Access is not a privilege; it is a right that everyone deserves. The ADA was passed the year I was born, granting me an enormous sense of independence because I would no longer have to rely on the morality of strangers to provide me access to things I needed; which was what it was like for the generations of disabled people that came before me. 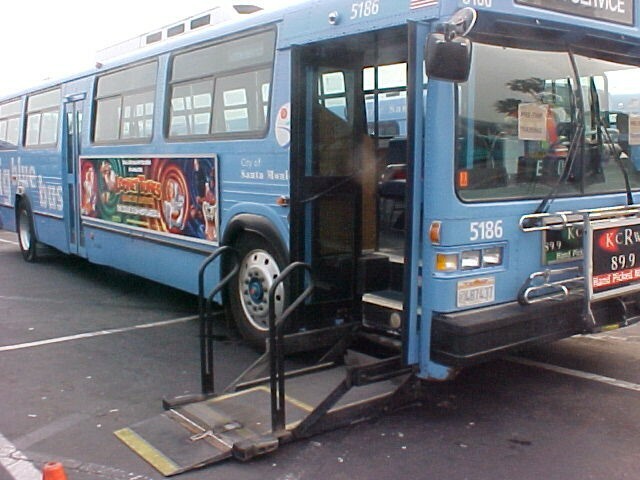 In college, I did not have a vehicle to get around in, therefore I had to use public transportation. Without this law, our public transportation would not be required to be accessible, which would make it difficult for me to live a productive life. After a difficult three years of relying on public transport, I was gifted a van. It was an accessible van which my assistants and friends drive. Without my accessible van, I would not be able to work and go to school and make the best life for myself! Not only do I depend on the ADA for accessibility, I also benefited from it while attending college. I received extra time on tests, a note taker, and a private room to take my exams. The ADA has also given me the opportunity to secure employment. At work, I receive reasonable accommodations, so that I’m able to do the best possible job. Without this law, employers world not be required to give accommodations to employees with disabilities. Overall, I feel very fortunate to be living during the age of the ADA! I can honestly say that I wouldn’t be where I am today without this landmark piece of legislation. I’m looking forward to the future, as I see a new generation of disabled youth continuing the fight for our rights. The ADA is just the beginning to a more inclusive world! To learn more about California’s celebration of the ADA’s 28th anniversary, visit: https://ada28anniversary.com. Alexa McBride has been a part of YO! Disabled and Proud for five years. She currently serves as one of the Youth Advisory Council members and works at Luther Burbank High school as an afterschool team leader. Alexa is a graduate of Sacramento State University and earned a Bachelor of Arts in Child Development in 2014.